Here are four from me this month. 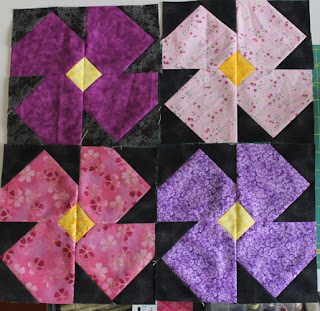 I cut out enough yellow for five but then realised that I didn’t have enough of the fifth petal colour I’d chosen. Might get around to making more later, or I might not… that’s the joy of Block Lotto!! These are very nice. I'm inspired to make some more myself!